If we talk about potential hazards in chemical industries, there will be long discussion about that matter. Although one chemical plant has similar nature with one another, but each plant comes with its unique hazards. In this article, I will write about potential hazards in chemical industries in general which is in turn it can be used as inputs for preparing hazard identification work for your own plant site. This is very important mainly for companies which have not determined hazards list within their plant sites yet. As a reminder, I recommend you to read my previous article about hazard identification study as well as hazard control methods if you have never experienced in making hazard list for your plant. 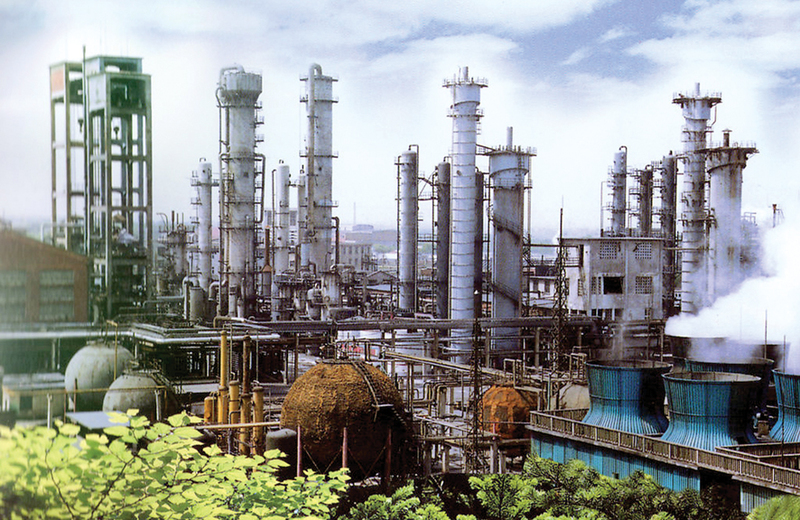 In general, based on its nature potential hazards associated with chemical industry can be classified into chemical hazards, physical hazards and biological hazards. Most common hazards are chemical and physical hazards. I will not come into detail about this classification, since the most important thing is how we can easily identify hazards exist in our plant site. Hare are top 13 potential hazards in chemical industries based on my former experiences that I think have to be put into higher priority to be controlled. Hazardous chemicals exposures. The potential hazards can be introduced through chemical spills, splash, inhalation, etc. Poisoning by toxic materials. Many chemical plant accidents happened in the past caused by toxic gas leak. Did you rememberBhopal tragedy? Fire and explosions due to flammable gases. The latest plant tragedy ‘Middletown power plant explosion’ in US was due to improper handling of natural gas purge. Fire and explosions due to flammable liquid and solid. I separate flammable liquid/solid with flammable gases due to different potential hazard level. But, this separation does not mean that we can neglect with flammable solid hazard. Flammable dust explosion could tell you the danger of flammable solid. Explosion caused by pressurized gases and liquids. I remember when I read news about hydrostatic pressure test failure in China. Fire and explosions due to uncontrolled reactions. Precisely, they are chain reactions. Thermal hazards. Many processes and equipment in chemical plant operate at high temperature and directly expose hot environment, hot surface and high temperature radiation. Extreme cold temperature hazard cannot be neglected because it is able to present real hazard to workers. Cutting hazard. It is caused by sharp objects and rotating equipment and machines. Slips, trips and falls hazards caused by unsafe conditions such as slippery surface. Electrical hazard. Static electric should be taken into account too. Mechanical failure hazard. Old equipment with corroded supports will collapse anytime, since the supports have lost required strength. Oxygen deficiency. Working inside confined spaces exposes workers to such hazard, including toxic atmosphere. By now, you should be able to identify which potential hazards exist in you plant site. I believe that the above does not represent all the potential hazards in chemical industries. However, they could help you preparing your own hazard identification study.